I’m going on hiatus. Not from the blog (though I can see how the lack of regular postings here lately might lead one to that conclusion). If you’re a regular reader, you may have noticed that It’s been quite some time since I re-posted any content from my newspaper column. A few people have asked why, and I suppose a brief explanation is in order. For just over three years I’ve written a (mostly) weekly outdoors column for my local newspaper, the Tooele Transcript Bulletin. This has been an exhausting, but unbelievably rewarding undertaking. It’s become a passion, and I think I’ve published some insightful and worthwhile pieces through it’s course. So it was with mixed emotion that I made the decision last fall to put the column on indefinite hiatus. There are several reasons for this, one of which is a reassessment of sorts. I found my literary muse a little late in the career game. So far it’s been strictly a side gig, limited to ever-decreasing amounts of spare time. But the column has given me a foot in the door, and I need to pause in order to explore opportunities to grow and expand. Can a side career be made in campfire philosophy? I don’t know, but I need to find out. 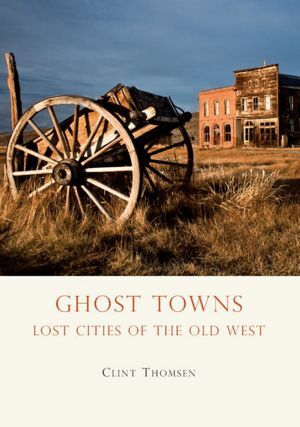 In that vein, I’ve begun one new venture– a history-related project with a focus on Old West ghost towns– and am laying the groundwork for another, which will take a hybrid/New Media approach to Utah’s outdoors. I’ll explain both of these projects in more detail as time goes on, and of course keep you updated on the column’s status. In the meantime, I’ll continue to write regular features in the newspaper’s Hometown section, and I’ve got a few more Outdoor Adventure articles to re-post here, including a 2010 retrospective from last week. If you’re bored tonight, tune in here to read about what is sure to be the best sleepover ever. I can’t say much about it– mainly because I don’t know much about it. Yet. Bridger will be with me, along with a couple dozen strangers. Not sure how that will work, but we’ll have sleeping bags, maybe pillows, perhaps a laptop, and my smartphone. And I think some beluga whales and/or a polar bear might make an appearance at some point in the evening. If I’ve got service, I’ll be tweeting and liveblogging. Talk to you tonight! I just wanted to jump on and explain my absence here the last few days. Friday morning the missus gave birth to a strapping young lad who, for the time being here, shall be known as “Little D.” So for the last few days I’ve been off the grid, hangin’ with the mumma, and watching Law & Order reruns. Mom and baby are doing just fine. Oldest brothers love him to death. Middle brother is indifferent. Miss Ella feels very, very betrayed, but she’s finally starting to warm up to her baby brother.